Odyssey was the final game project I made with a team at the Guildhall. In four months, we created four massive worlds that challenged the player with platforming, exploration, and massive boss fights inspired by Shadow of the Colossus. As Lead Level Designer, I balanced my time organizing our team’s schedule and tasks with helping build the game. Much of my time focused on scripting our cinematics and checkpoints, creating platforming sections in each world, and developing the boss fights. 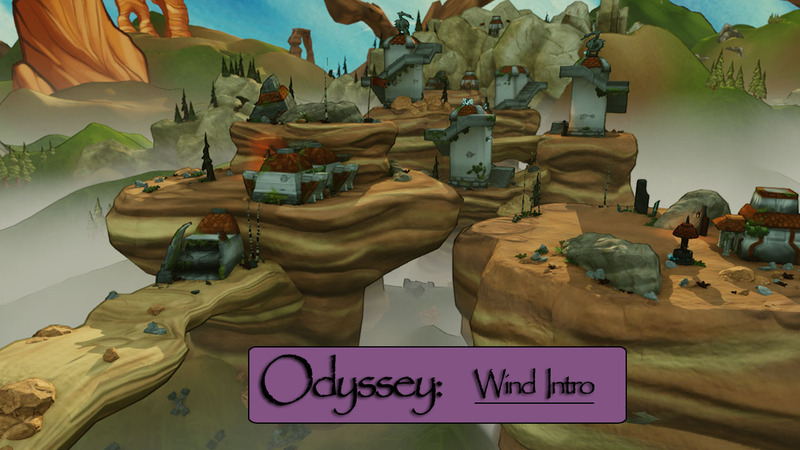 Odyssey tells the story of Jade, a young girl left to fend for herself in the Wilds. Jade must complete the ritual of her tribe to have any chance of reuniting with them. In her way stand the ancient Guardians, massive mythological creatures which will do all they can to kill her. 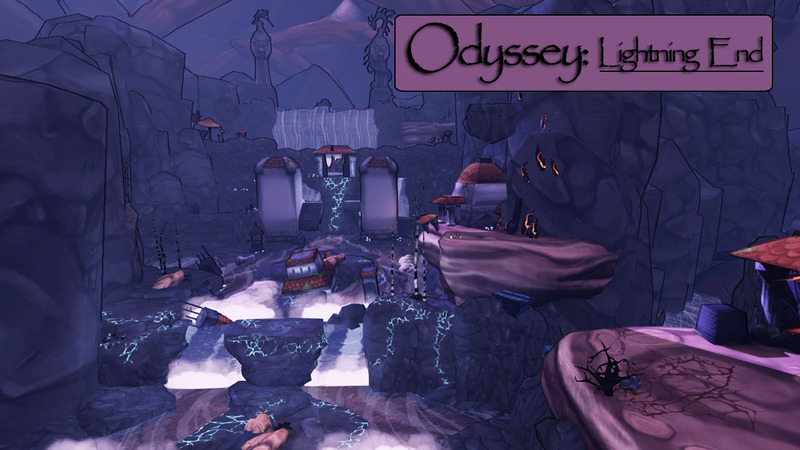 The core focus of Odyssey rests on merging epic boss fights with challenging 3D platforming. 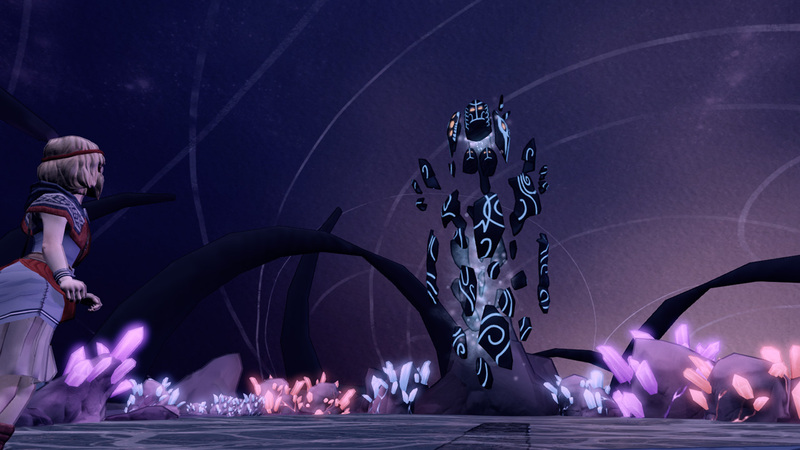 A unique Guardian dominates every level which poses a dangerous challenge to the player as they try to navigate to the Meditation shrine at the end of each level which purifies the player and stabilizes their powers. 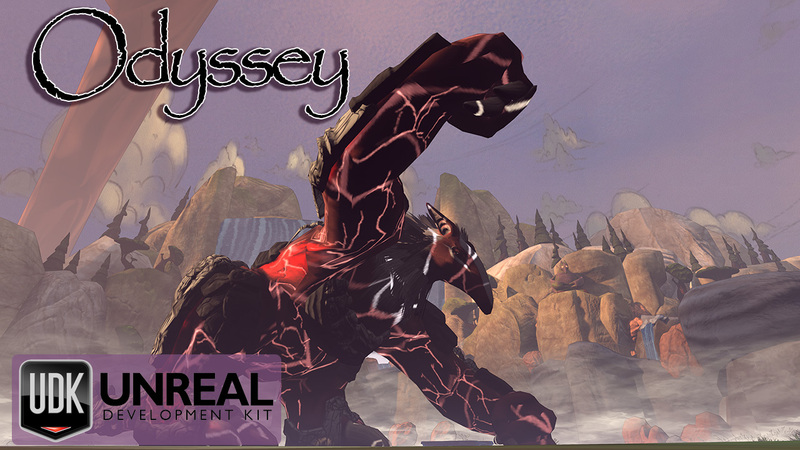 Games such as Shadow of the Colossus, Journey, and God of War inspired Odyssey. I created the original core concept for the game and pitched that concept to the other team members. 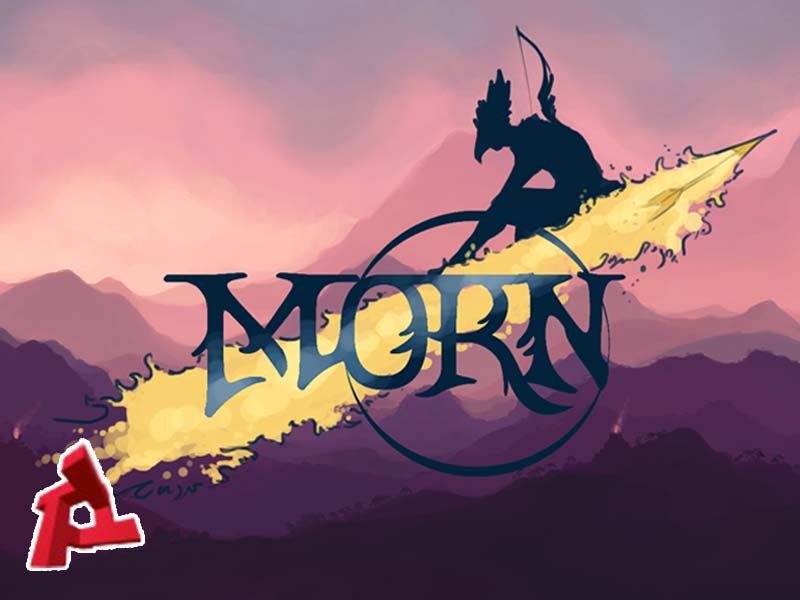 From there I worked closely with the Game Designer to refine the concept and tackle how we would implement the features with our small team and short development schedule. Once we exited pre-production, I took on a number of responsibilities, including organizing all level design documentation and organizing the level department to avoid rework and stay on schedule. I took on a primary role in constructing and implementing the game throughout the project. To briefly summarize my contributions before going into greater depth below, I designed and built large sections of the Wind, Earth, and Lightning levels, as well as scripted parts of the Final level. In addition, I scripted most of the checkpoint system, all our cinematics (as well as designed most of them), and scripted complex material behaviors to help the art team. Finally, I handled most of the testing and refinement for all platforming sections in the game. 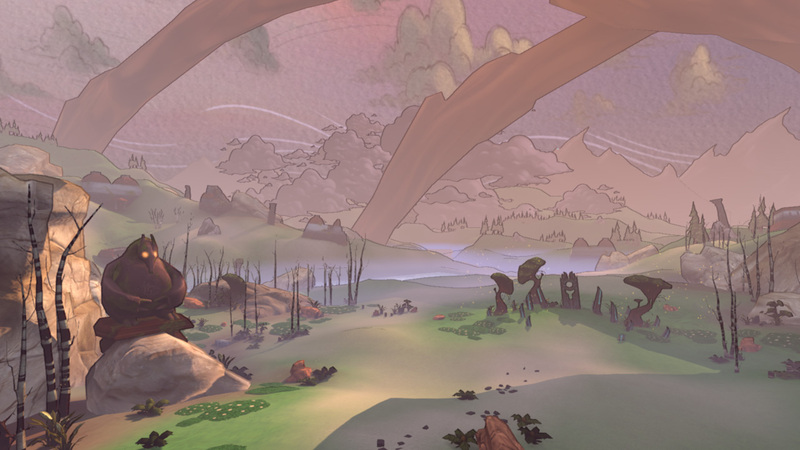 The opening section of the game needed to teach the player basic abilities and immediately immerse the player in the art style. 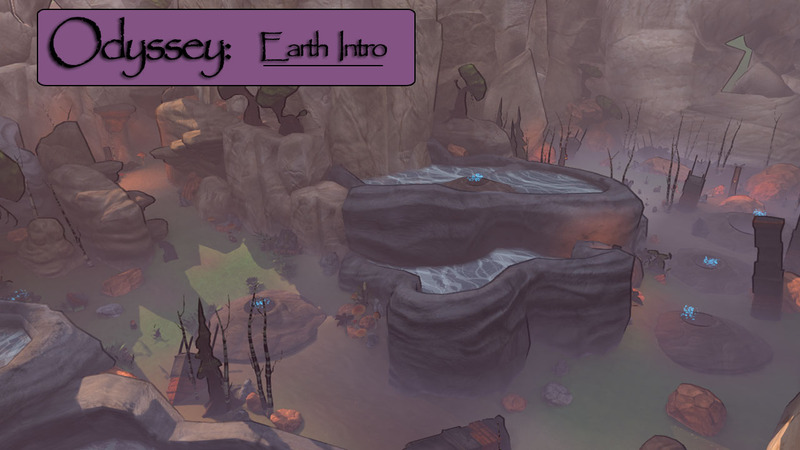 The introductory section guides the player down a clear linear path to ensure they learn the movement controls and challenges the player with very small jumps. The level area is set atop a series of connected mesas. The opening section of the Earth level needed to communicate weight and power instead of the airy sensation of the Wind level. To accomplish that goal I designed the opening section so that the player almost always feels as though they are the smallest object in the space. 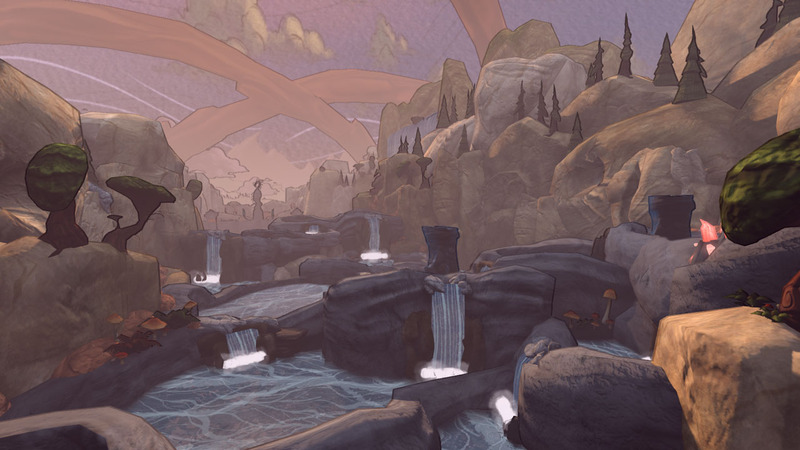 The critical path takes the player through a network of canyons that challenges them with precision jumps and agile glides. 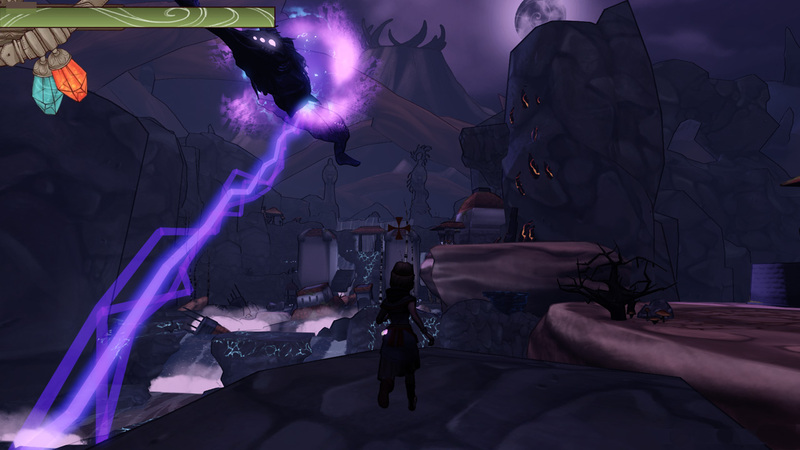 The end of the Lightning level communicates the fear and terror of the world by immersing the player in a stormy, dangerous environment. The player must summon the Rock Armor ability to shield themselves against the storm as they move through the flooded landscape toward the climactic boss fight. This area foreshadows some of the Lightning Guardian’s abilities, such as teleportation and lightning beam. 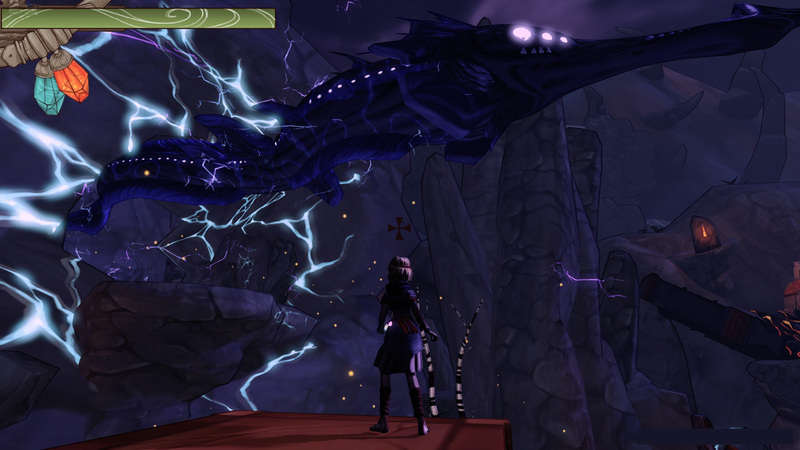 The Lightning Guardian reacts to the player’s progress by destroying the player’s next intended platform at key intervals. 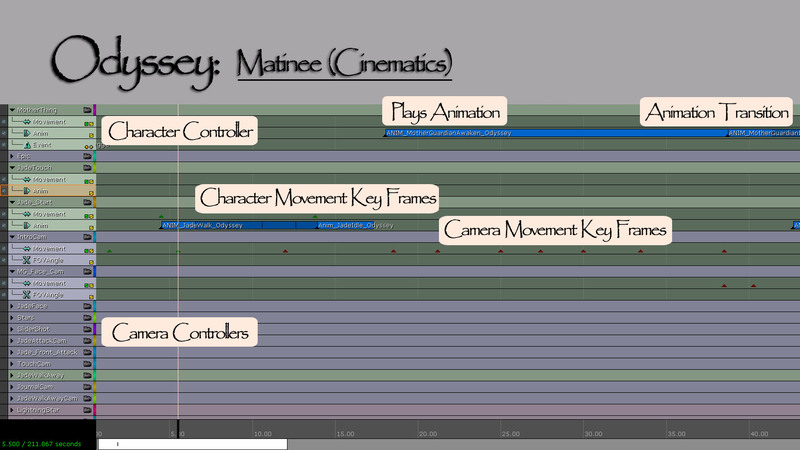 Organizing the Level Design department so that the game maintained continuity throughout. The design group consisted of three pure LDs, our Game Designer, and myself. Collaborating with the Game Designer and other department leads to make sure we avoided development mistakes at the same time as we create a cohesive, directed experience. Creating content in order to assist the Design team in their individual work. 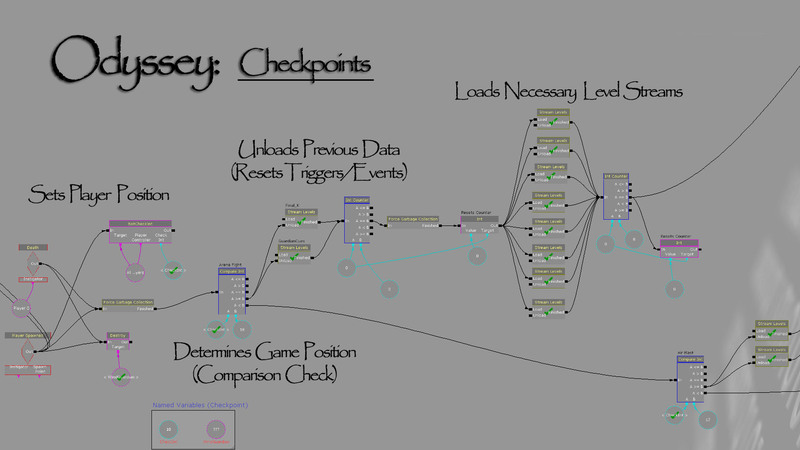 I took on scripting our Checkpoint system, created every in-game cinematic, wrote and maintained all Level Design documentation, and actively implemented three areas in the game. I also served as the primary interface with our audio engineer to achieve the soundscape we needed for the game. I was responsible for much of the technical design. I scripted numerous level triggers, some light behaviors, and several custom material effects for the art team. However, for the sake of brevity I have chosen to focus on two of the technical features I spent most of my time on; creating the Checkpoint system and scripting our cinematics. 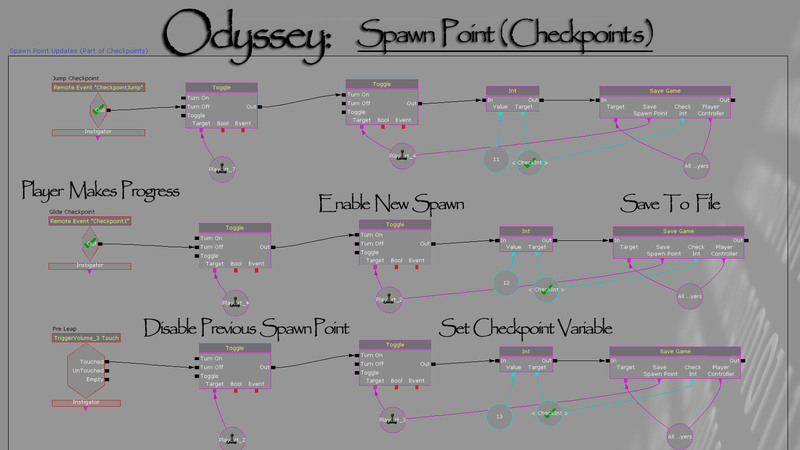 Seamless Checkpointing became a core feature of Odyssey. In order to speed up our Level Design development I took on the kismet scripting while the other level designers got started on world building. We wanted the checkpoint system to be based on forward progress in the world while remaining invisible to the player. The Spawn Point system can be broken down into a similar series of steps. 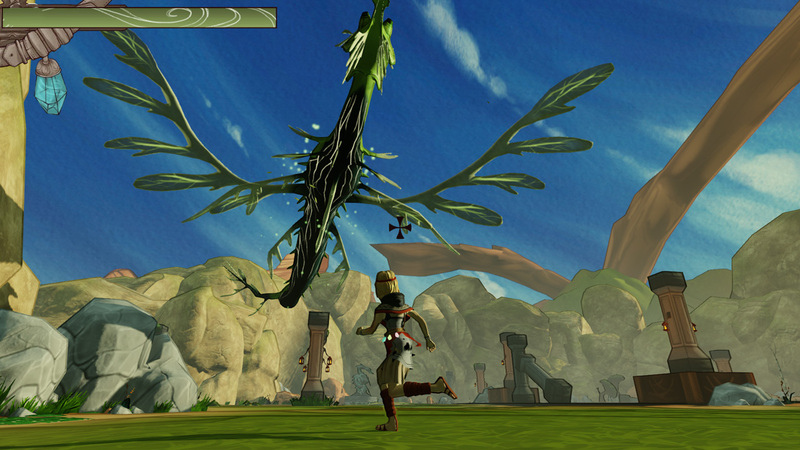 This system runs during play to save the player’s forward progress. 5. Saves the status to a save file. I took on the responsibility for creating a cinematic feel in our game. I used about 20 in-game cinematics to create the effect (very few of them actually halt play, they just occur during gameplay). I used a series of actors, special materials (covered later), and lights to create larger-than-life moments. For some of the most important cinematics I incorporated a variety of cameras as well.